F1 commercial supremo Bernie Ecclestone has said that the deal for Renault to buy Lotus needs to be completed by Monday, as the 84 year old tycoon confirmed publicly for the first time some details of the negotiations behind the scenes. Speaking to Reuters, Ecclestone said that Monday is D Day. "Apparently Renault are going to take over Lotus. Apparently. This is what has been foreseen. Whether it will be completed, I don't know. If they don't complete it (the takeover) by Monday or put some money in soon... unless Renault come to the party, it won't happen," he said. "It's strange that a company as large as Renault are taking such a long time to make a decision, to be honest with you." According to Reuters, "Lotus are due back in the London High Court on Monday to face demands from Britain's revenue and tax authority (HMRC) to have the team placed in administration as a result of unpaid taxes." It is a complex deal, which has to account for substantial debt on the Lotus F1 team, albeit most of it is to the main shareholders. Genii Capital is likely to retain a minority holding in the team once the deal is complete. However Alain Prost has distanced himself from suggestions that he would be a minority shareholder in the mode of Niki Lauda at Mercedes F1 team. 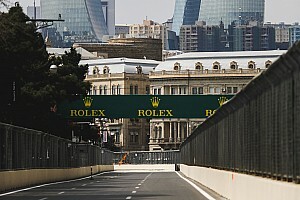 Ecclestone, who is not attending for the second Grand Prix in succession after Singapore, confirmed that his negotiations with Renault revolved around their entitlement to CCB bonus, which rewards heritage in the sport and is a separate fund from the main prize money fund for championship positions. The five leading teams currently qualify for this, so the fund excludes Lotus, Sauber, Toro Rosso, Manor and Force India. Ferrari receives an annual CCB bonus of $100m, while Mercedes gets $34m, the same as McLaren. 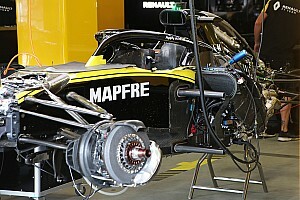 Renault feels it is entitled to be treated in a similar way to Mercedes, as the most successful engine maker in F1 history and as a two-time champion constructor in 2005 & 2006. "They've been waiting for us to make a contribution to give them a reason to do something, which we've done two weeks ago. So I don't know," said Ecclestone. "They wanted the same sort of deal as Mercedes and some money. So we tried to work it out. We got a calculator and worked out what nine years would be." This is believed to be a reference to Renault's request for nine years guaranteed CCB money, to 2024. The current bilateral agreements with the five leading F1 teams expire the end of 2020. These bind the big names to the sport. "What we've done for them is not anything that we need to do, or had to, but we've done it to try and be helpful and keep Renault in Formula One. Ecclestone added the caveat "Our agreement is with Renault and not with Lotus." Lotus is in a parlous state this weekend as the deadline looms on its adjourned court room date with HMRC in London over tax bills. The team has been locked out of its hospitality unit in Suzuka due to unpaid bills from last season and Ecclestone arranged for the team to be fed by his Formula 1 Paddock Club caterers on Friday. Last Sunday Pastor Maldonado was confirmed at the team for 2016, meaning the continuity of his funding to the team from Venezuelan oil giant PDVSA.